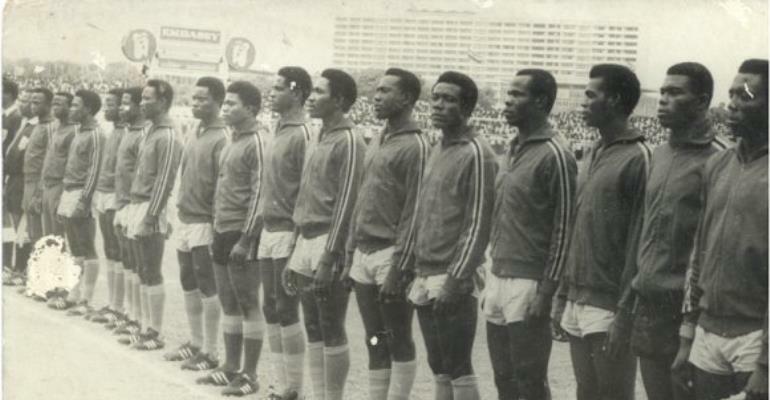 There are certain mysteries in African football that have puzzled the continent for the better part of the decade gone by, and continue to do so. Among them is Algeria's gradual decline from the zenith of glory, East and Central Africa's inability to mount a formidable challenge in Africa and Zambia's failure to lift the African Cup of Nations with all that rich tradition of an admirable conveyor of talent. Undoubtedly though, the biggest bewilderment is the fact that Ghana's Black Stars, record winners of the African Cup, are arguably the most glaring fading force. Since reaching the 1992 Nations Cup final - inspired by the marvelous skills of the great Abedi Pele, a teenager by the names Nii Lamptey and Toni Yeboah - and losing out to rivals Ivory Coast, the Black Stars have hit rock bottom. Such is their embarrassingly poor rating in African football that the mighty Uganda Cranes, set to play the West Africans today, boasts a better head to head record in the last couple of years. In the three matches involving these two sides between 2000 and 2004, Cranes has won twice. The other was a draw. Ghana's upheaval, predominantly caused by the ineptitude of Federation bosses and an unwillingness from their European based players to put on the Black and Gold strip, has had adverse effects. How has Ghana failed to qualify for a single World Cup? The Moroccos, Algerias, Zaires (now DR Congo), Nigerias and Cameroon's have at least featured once at soccer's ultimate prize but not Ghana. Sounds hard to envisage but very true. Most recently, the country did not participate in the African Cup in Tunisia this year, thanks in no small part to four points Uganda took from them. A 1-0 victory, thanks to a freak Philip Obwiny goal at Namboole, ensured three points for Cranes and forced Yugoslavia's highly rated coach Milan Zivadinovic to resign on return in Accra. Rwanda of course duly used their chance to qualify for a first major championship although you wonder whether the Amavubi Stars would have achieved qualification if they had had to defeat a Cameroon or Nigeria in a must-win situation. At home, Ghana remains a hard nut for anyone. Evidence of this is an emphatic 3-0 hammering of Group 2 favourites South Africa in Ghana, weeks after a 1-0 defeat to Burkina Faso in Ouagadogou. Away from home, the Black Stars are miserable. If they play as half they used to on their visits in the glory days, qualification will be guaranteed. But momentarily, nothing suggests that. Coach Mike Mutebi is acting professionally and will not dismiss such opposition, poor form and a forgettable decade notwithstanding, but Uganda starts as favourites for the match. The 1-0 loss in Cape Verde highlighted Uganda's unconvincing away form, and because of this tiring but unique qualification series that encompass the African and World Cup, home advantage is paramount.